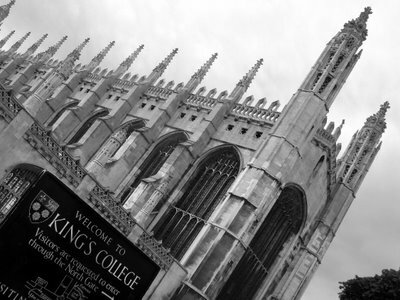 Ok, so it's one of the most photographed buildings in the UK but what Cambridge photoblog would be complete without a shot of King's College chapel? It is truly stunning from every angle. The foundation stone of the chapel was laid by Henry VI in 1446 but it wasn't finished until the reign (and death) of Henry VIII in 1547. Just in time for me to take this shot.